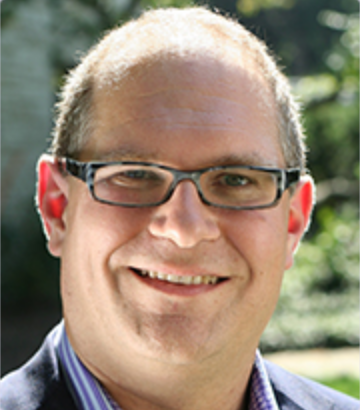 Human development and social policy Prof. David Figlio estimates he’s taught more than 13,000 students over the course of his professional career. Now, he’ll oversee more than 700 undergraduate and graduate students, 34 faculty and more than 100 staff members as the new dean of the School of Education and Social Policy. Figlio was named the new SESP dean on Feb. 3. His predecessor, Penelope Peterson, is the longest-serving dean currently at Northwestern. Peterson assumed the role in 1997 and will retire in August. After years of teaching experience, paired with administrative work from five years as the Institute for Policy Research’s director, Figlio said he felt prepared for the responsibilities of being SESP’s new dean. Figlio said he is excited to get to know each SESP faculty member and their research, as he has done at IPR. And even though he has taught human development and social policy classes at Northwestern, he said he is looking forward to more interaction with students. Figlio said the position made sense after his years at IPR and his relationships with faculty and administration. He also said he was eager to get to know other new hires, such as incoming Provost Jonathan Holloway. Holloway, dean of Yale College, will replace Dan Linzer as provost in July. Political science Prof. James Druckman, IPR’s associate director, said he could not imagine a better faculty member to serve as the next dean. Under Figlio’s leadership, IPR has deepened its impact on public policy, Druckman said. Eric Betzold, IPR’s business administrator, said Figlio’s ability to coordinate his time — traveling across the country for research on education and health policy while also managing IPR’s operations — would serve him well under the demands of being SESP’s dean. Though Betzold and Druckman are not sure who will take over as IPR’s director, Betzold said he hoped the new director would be able to manage time as well as Figlio. But even though Figlio is leaving IPR, Druckman said he hoped Figlio would still be available to lend advice and guidance. “He knows all of the faculty so well, and he’s been a great spokesperson for IPR … to show what a strong research center we are and how successful it can be to have collaboration across departments and across schools,” Druckman said. In addition to serving as the Orrington Lunt Professor of Education and Social Policy at Northwestern, Figlio also holds a courtesy economics professorship. Previously, he taught economics at the University of Oregon and the University of Florida. Figlio also worked with the Department of Economics at the University of Oxford, after he obtained a Ph.D. in economics from the University of Wisconsin-Madison. Figlio said he received many emails and Facebook messages congratulating him on his new position, but the notes that impacted him the most were ones sent from former students.